Visual search is one of my specialist subjects, as I feel it has the potential to create new connections between the digital and physical worlds. I have been quoted as an expert on the topic on Think With Google, WARC, Search Engine Watch, and many others. I also speak at a lot of technology events about Pinterest Lens, Google visual search, and Amazon’s ecommerce products. Below are some examples of the visual search content I have created recently. I maintain a comprehensive guide to everything visual search-related, from statistics and tips, through to news on Google Lens and Pinterest Lens. I have also collated important quotes from senior figures related to visual search technology. You can give it a look right here. 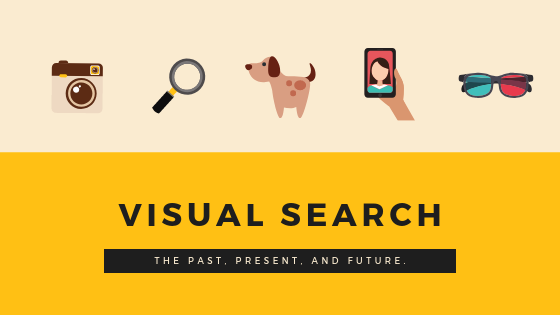 An overview of the history of visual search, leading up to the modern-day innovations from Pinterest and Google. A presentation containing everything you need to know about visual search, from the details of the technology through to the tips you can apply today to get more visual search traffic. If you’d like to discuss anything related to visual search, get in touch below!